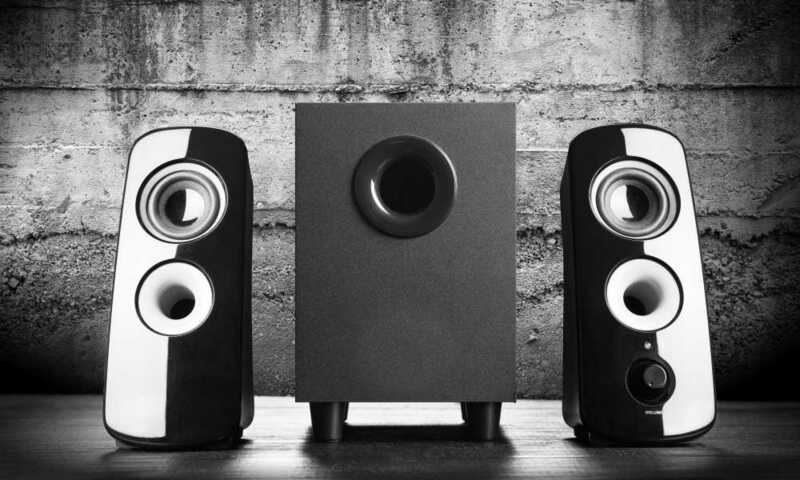 For all the audiophiles and music lovers out there, deciding on a sound system is not an easy task. The question always boils down to this: Which one should you get? Facing-off, we are going to look at studio monitors vs computer speakers. The advent of today’s technology has brought the cinema to our home. Instead of going through the hassle of waiting in line to buy tickets, waiting in another line to grab a popcorn and soda, and then in yet another more to enter the cinema, people of today choose instead to watch in their home. All this has been made possible and accessible through enhancements and innovations in sound engineering. 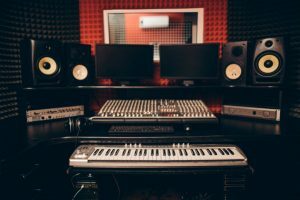 Perfection takes a lot of your time and effort, so it is no surprise that in building a perfect sound system, the road going there will be tedious and demanding. Unless you’re the type of person who has the cash to burn, trial-and-error here is not an option. Building a quality and captivating sound system requires more than just meets the eye (or ears, in this case). 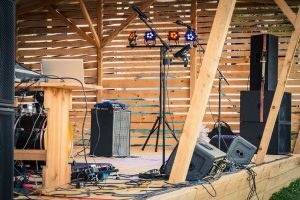 Today, there are so many brands, setups, and configurations to consider before you can buy the sound system that you require. A lot of stores and appliance centers allow you to test for sound quality, but you have to remember that it is impossible to listen precisely and accurately with all the noises and clutter in a mall-like setting. 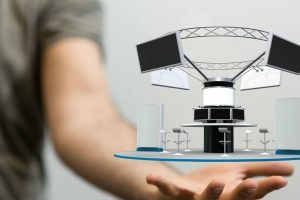 Another factor to consider is that your living room is not the same structure as the shopping center, so the results could be very different from listening at home and in the mall. Most online sellers you buy from have money back guarantees which give you a merciful chance to return it when you’re dissatisfied with what you’ve bought. But take note, the waiting game is real since in shipping, depending on where you’re from, it can range from a few days to several weeks. 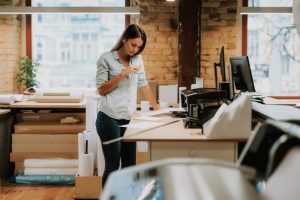 Most online sellers also place the return shipment fee in the buyer’s hands, so all that bulky, heavy equipment that needs to be returned can still potentially hurt your wallet. There’s another player in the game—software. The software is just as important as hardware. Converting all those electrical signals to sound is run by software on electronic chips, integrated circuits, and embedded computers. Digital signal processing, intelligent equalizers, and state-of-the-art waveform normalizations are all dependent on the software side. The key factor in the software is the sound card. In a desktop environment (talking about your PC), the quality of your sounds is limited by how good your sound card is. Home theater systems also have embedded sound cards in their internals. The sound card’s settings can be tweaked via its settings. For a PC, it can be done by installing the sound card’s drivers, and for home theater systems, built-in settings can be used to configure it according to your preferences. 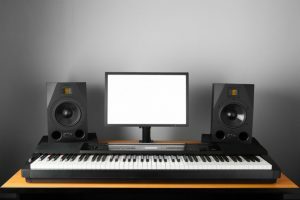 Having all these factors in mind, from the hardware to the software, you can now decisively choose between studio monitors and computer speakers. In the studio monitors vs computer speakers debate, it is a no-brainer to make side-by-side comparisons on the two. The main difference between the two is their intended purpose and usage. For one, studio monitors offer a flat and accurate response on all frequencies. In short, these devices are never really intended to enhance sound waves. Computer speakers, on the other hand, have gone to great lengths of research and development to enhance sound and produce rich lows, mids, and highs. In other words, computer speakers generate sound that is evenly dispersed, along with enhancements. Studio monitors produce unaltered sound for accuracy and precision. Looking at the technical aspect, a computer speaker is usually a passive element, whereas the studio monitor is an active component. Although not always the case, each component of a studio monitor is run by an AC line to power up every built-in amplifier of the individual components. Computer speakers, however, require a separate external amplifier for them to work. 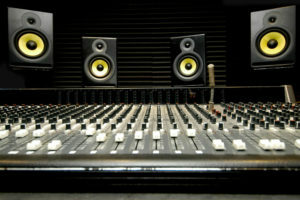 In sound projection, computer speakers and studio monitors also differ in the way they circulate sound across the room. Computer speakers try their best to even the sound across the four corners of the room. 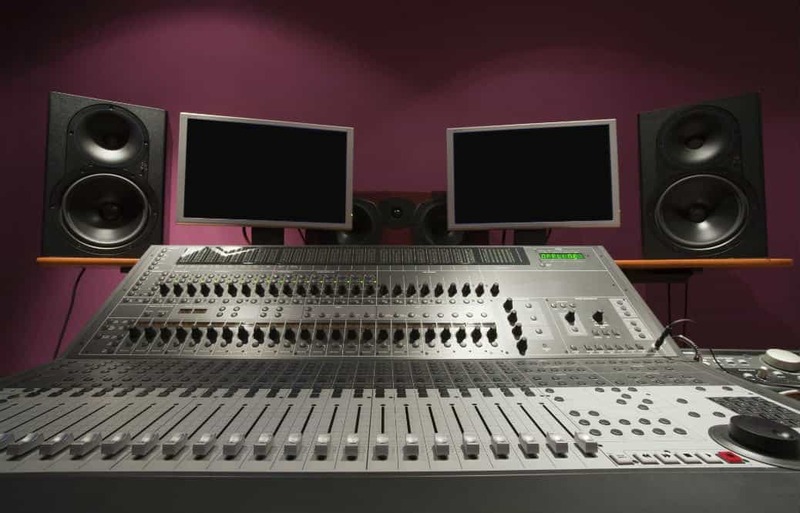 In studio monitors, especially the near-field monitors, the sound projection is intentionally made to be very limited so that the walls of a room will not reflect and echo to the actual sound being listened to. 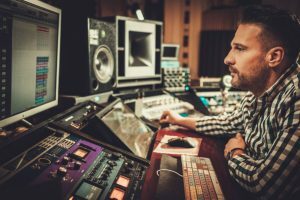 All those efforts spent by sound companies on research and development comes at a price. 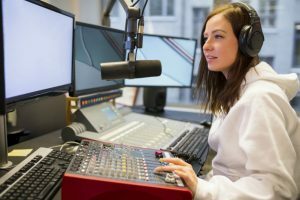 Getting a good hi-fi computer speaker or an equally competitive studio monitor requires you to spend more. Although the price isn’t exactly a measure of how good equipment is, you cannot simply buy them at an inexpensive price and expect top quality sound. To get the most out of your chosen investment, finding out what you need is key to having the best price to performance ratio. Others call it the best bang for the buck. You also have to factor in your other equipment as well. Like a perfectly coordinated football team, getting the most out of your speaker’s means every single component complements another. You certainly wouldn’t want a bottleneck, as your system will only be as good as your weakest link. To sum it all up in this discussion of studio monitors vs computer speakers, all it boils down to is your intended purpose. 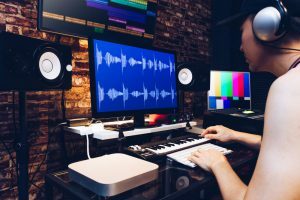 If you are a content creator or music producer, you need flat, unaltered, accurate sound for true music mixing. Studio monitors to aid in the production of music. They are commonly used as a sound referencing tool, lacking the powerful, rich sound of conventional computer speakers, but otherwise reflecting the exact music as the artist has recorded. If you are the type of person or audiophile who simply wants to listen and enjoy a music’s finished state, then getting a decent computer speaker would suffice.